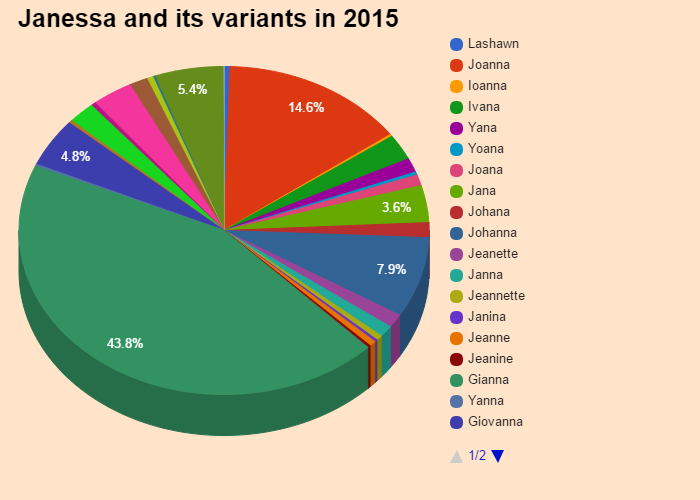 Janessa was ranked 594 in 2015 US female names list and elevated by 2.94% from its previous ranking of 612 in 2014. Janessa is a very rare first name for girls with occurences only in 1996, 2007, 2008, 2012, 2013, 2014, in England & Wales which is a rare name since 1996 and ranked 4684 in 2014. Only 20 people have Janessa as their first name. Janessa name has an inconcistent distribution. Janessa is a very very popular first name for a girl in United States which is popular since 1990 and ranked 594 (0.009844% bearer) in 2015 in US. Around 12545 people wear Janessa as their first name. Janessa is a rare first name for a girl in United States which is a rare name since 1954 and ranked 594 (0.009844% bearer) in 2015 in US. Only 12545 people have Janessa as their first name. Janessa is not a native United States and Janessa may be came from another language or is a short form of some other name. 0.003509% of people in US have this given name. Expression number of Janessa is 6. Janessa have a great affection towards creativity, beauty and domestic activities of life. Janessa are trustworthy, honest and behave responsibly. Janessa have tendency to sacrifice their needs for others'. The girl name first appeared in 1954 when 7 babies had Janessa as their first name, the baby name went as low as 6 in 1955. 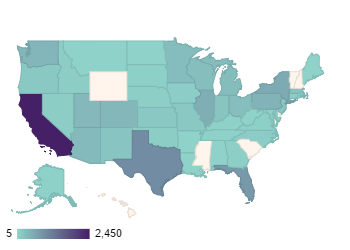 At peak, Janessa was given to 555 (0.030%) girls in 2009 specifically in California where 113 babies were named Janessa after continuous rising. After it's 63 long run and having 2 instances of disappearance, Janessa is on a fall in the chart. Get the meaning of Janessa and celebrities who also shares the same name and some names related to Janessa, english baby names list, list of names in english. Know what does Janessa mean? This website serves as the extended english names list which will help in naming your child.